Does Negate give back the land used to cast Hammer of Purphoros? Savage ventmaw with haste free? 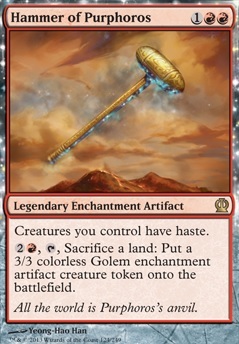 , Sacrifice a land: Put a 3/3 colorless Golem enchantment artifact creature token onto the battlefield. If you're looking for more cards that gain life before combat, Sunspring Expedition and Gonti's Machinations are cheap, useful enchantments to have too. I see you already include Slayers' Stronghold . However, if you have the budget for it Hall of the Bandit Lord is a great haste enabler. Fervor , Anger , Hammer of Purphoros , and/or Urabrask the Hidden may be useful to include too. 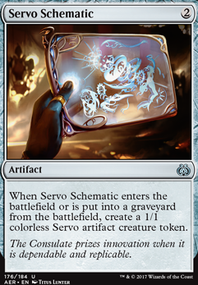 Some fun cards to run are like Patriarch's Bidding , Corpse Dance , Mimic Vat , Urza's Incubator , and The Immortal Sun . 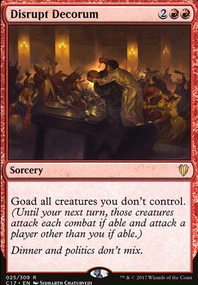 Running some rituals in these types of decks doesn't hurt as well, either that or some haste enablers like Mass Hysteria , Fervor , or Hammer of Purphoros . Fires of Yavimaya , Fervor , Hammer of Purphoros , Thousand-Year Elixir , etc. 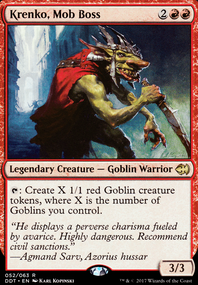 Are all really good haste enablers and at least one should probably be included to get more value from tap creatures. Here’s a few card ideas that could really help this deck. Any or all of the bottom 3 to bring back lands that are sacked if you use the hammer. The great thing bout the hammer is it provides all 3 card types needed to use any of of Shattergangs abilities. Also consider a few tutors to get to key cards you want earlier. Maybe Razaketh, the Foulblooded as well for more tutoring capabilities. Thanks for the tips! You're making me very tempted to pick up some additional upgrades... If only I had the funds! I've never heard of Fated Return , Soul of New Phyrexia , or Hammer of Purphoros . I think I will pick up a copy of them, especially since they're so affordable! Will need to think of what to cut, however. I didn't put in Dragon's Hoard , because I was concerned about having too many mana rocks. Is that something you'd be concerned about too? If not, how many mana rocks would be considered too many? You're right, Bring to Light was an artifact of my The Ur-Dragon Deck before it evolved into a Scion of the Ur-Dragon deck. I've been able to play this deck <5 times, and Bring to Light has come in clutch once where I used it to tutor for a Curiosity that closed out a game. It really is just a financially cheap (and mana-expensive) tutor though, and I would be happy to replace it with a Demonic Tutor if I could afford one. While I don't have enough games to say with certainty, I am hoping that Bring to Light has the potential to be slightly more useful flexible as a means of indirectly stockpiling mana before a combo-turn. I recently added the combo cards you mentioned, but I haven't played enough games to comment on their consistency (this deck is slightly too expensive for my playgroup at the moment). If they end up being too clunky or situational then... you're right: I should cut them. Is that how they performed in your experience? 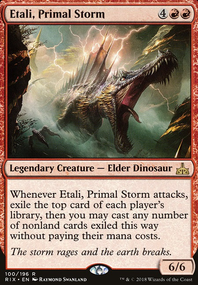 I haven't considered Niv-Mizzet, Parun , but it does look interesting. 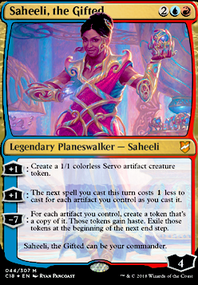 It looks like it would serve the same purpose as Niv-Mizzet, the Firemind , however, and the deck seems packed as is. Do you have any strong opinions on the matter? I am considering cutting Ojutai, Soul of Winter and Scalelord Reckoner , because I haven't really gotten much use out of them so far. What do you think about those cuts? Not quite sure what your budget is, but a reanimation package usually works well in a Scion of the Ur-Dragon deck. I always liked Fated Return for instant speed tricks or indestructible. Speaking of indestructible Soul of New Phyrexia is a good card to make sure your board of scary dragons doesn't get wrath'ed away. Mana rocks are good, drawing cards is good. I think the Dragon's Hoard should be in this to solve both issues. I'm intrigued by Bring to Light in this deck. I guess it is a cheap tutor, but is seems limited. I would love you hear how you use it. There are some fun combos pieces that work with different dragons Bear Umbra , Curiosity (are you planning to add Niv-Mizzet, Parun ? ), and Tainted Strike ; are you able to get them to work that often? If not, they may be the cards to cut. have you tried Hammer of Purphoros instead of Fervor ?